Atlanta Megachurch pastor Andy Stanley is in trouble again with a number of his fellow evangelical leader friends… or have his “friends” succumbed to a “Shoot First, Ask Questions Later” approach to evaluating his preaching? Do you “fact check” what you read on social media, or any other source of news and information, particularly when it involves a controversial matter of grave concern? I had just come back from a Christmas trip to visit family, when I ran across a Patheos blog article with the alarming title, “Andy Stanley: Please Relent or Step Down from Pastoral Ministry.” Mmmm…. Yet another scandal among God’s people? A megachurch pastor gone astray? What embarrassment for the Christian faith is it this time? In this article, the author compares Andy Stanley, a megachurch pastor in Atlanta, and son of popular Bible-teacher Charles Stanley, with the mid-20th century liberal minister, Henry Emerson Fosdick, and a modern-day prosperity doctrine guru, Joel Osteen. Wow! If you know anything about evangelical theology, these are serious charges to lay against any evangelical pastor. Now, I agree with folks like Al Mohler that the Virgin Birth is an essential doctrine to Christian faith. It is one of the historic, fundamental beliefs of Christianity, not to mention the entire foundation for the Christmas story. But is it accurate to say or imply that pastor Andy Stanley is now denying the essential doctrine of the Virgin Birth? I do not have a dog in this fight, at least not directly. I have never been to Andy Stanley’s church in Atlanta. I have only heard a few of his sermons. I can (and have) quibbled over a few points in some of those sermons, but overall, I appreciate what he is trying to do, from what little I know. He is trying to reach a population that may have grown up going to Sunday School in their youth, but who now as adults find the Christian faith rather difficult to accept intellectually. I have friends like this. Do you? Stanley’s strategy appears to be one of trying to persuade people that if they can accept the Bodily Resurrection of Jesus as historically true, then surely they can eventually have confidence in the rest of the testimony of the Bible….including confidence in the Virgin Birth. My point here is not to debate the specifics of Stanley’s sermons, nor the validity or inappropriateness of Stanley’s preaching strategy. My concern instead is to demonstrate that sometimes Christians tend to get a little trigger-happy in engaging their “heresy detectors,” firing away at other fellow Christians who have a different approach to ministry, but who nevertheless are on the same team. By subjecting fellow Christians to “friendly fire,” we inadvertently undermine the very message that we so very rightly wish to defend. Here is the evidence to support my argument: Dr. Gerald Harris, an editor for the Christian Index, moves in many of the same circles as Andy Stanley does in Georgia. On December 27, 2016, Harris criticized Stanley for much of the same reasons as exposed in the Washington Post story, noted above. I find it noteworthy to observe that Harris’ quote gives a much broader view of the context of Stanley’s sermon, than what was given in the Washington Post article. Just from the bit quoted above, I do not see a denial of the Virgin Birth. Rather, it seems more plausible to say that the Resurrection is really the hinge point for the Christian faith, in a way that the Virgin Birth is not. But saying this does not necessarily imply that the Virgin Birth is inherently unimportant or untrue. Nevertheless, if you read Harris’ article in full, you might still be put off by some of the things Andy Stanley was saying. Okay. Understood. But here is the real kicker. Pastor Stanley was kind enough to contact me and said the sermon I referenced was the first of a three-part series. He then asked if I had heard the other two sermons, to which I replied I had not. He indicated the series was actually an apologetic for the virgin birth of Jesus. Since his contact I have listened to the two additional messages and want to issue an apology for writing an editorial that was not altogether accurate. You can find the entire message series from Stanley’s NorthPoint Community Church here. The first thing I noticed in listening is that Andy Stanley’s detractors only paid attention to the first 60-seconds of the first sermon in the series. If they had listened to the entire set of sermons, as Dr. Harris finally did, they might have arrived at a different conclusion regarding Stanley’s message. I can quibble on a few points. For example, I am not convinced by Stanley’s claim that Joseph and Mary were worried as to whether or not they would even have a baby. Mary’s cousin Elizabeth had been fearful about being childless, but Mary? I would have to do some more research before making a judgment here, as Stanley just dropped that idea into his first sermon, with no clear, additional reference. 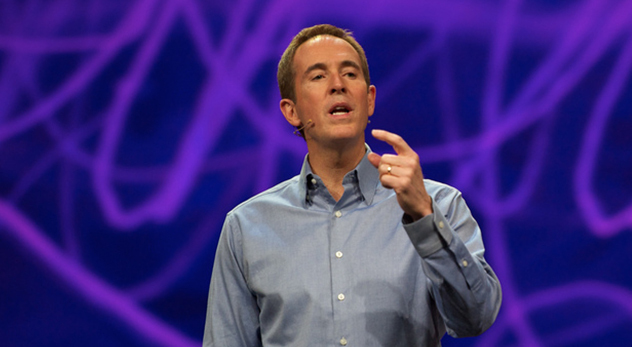 Sometimes, Andy Stanley sticks in particular claims that are difficult to verify with the available evidence, that for some, can come across as misleading. But this should not obscure or take away from the central message that pastor Stanley wishes to communicate about the miracle of Christmas. By the time I heard the third and last sermon, Stanley weaves in a very clever (and convincing, to me!) explanation as to why the Virgin Birth, as Christians understand it, was not expected by the first century Jews. What a far cry from Henry Emerson Fosdick or Joel Osteen. Sure, it takes time and energy to “fact check” someone’s sermon. But it also takes time and energy to study the Bible. The next time I will listen to a series before I draw my conclusions. I will look before I leap. And I promise not to shoot and ask questions later. I have never known about Dr. Harris before this, but let me tell you: I respect this man. I like him because he has integrity. He wrote a pretty devastating editorial earlier in the week, albeit prematurely, but upon further reflection, investigation into the facts, and personal contact with Andy Stanley, Dr. Harris has retracted his earlier criticisms (If you do not believe what I am saying here about this controversy, then please follow the hyperlinks I have highlighted in the blog post, evaluate the evidence and then make your own decision). What if every Christian leader and teacher displayed the same type of integrity? Would that not encourage a skeptical world to take a closer look at the Gospel of Jesus? It might speak more than all of the volumes written to defend the Virgin Birth. Christians should “fact-check” before they publish anything, whether it be a social media “tweet,” article, book, or Internet blog. Do not believe everything you read in the secular press. Even the Washington Post can quote something out of context, misquote people, and make mistakes. Do not believe everything you read in the evangelical, Christian press. Even the most reputable Christian author (whether it be a Veracity blogger, or anyone else!) can quote something out of context, misquote people, and make mistakes. As a Christian reader of books, articles, social media tweets, etc., it is a good practice to verify the sources used by a particular author, or least, see if there is an alternative point of view that might better account for the evidence at hand. Better yet, try your best to contact the person being criticized to verify the story, before unleashing your anti-heresy weapons. Otherwise, be prepared to retract your statements if new information reveals that you were wrong. The way we try to defend the fundamentals of the Christian faith is just as important, if not more important, than the very doctrines we are trying to defend. The way we treat other Christians on matters of great importance tells the skeptical non-believer a lot about how Christians approach the pursuit of truth. How can we expect the non-believer to “fact-check” and accept the statements in the Bible, such as regarding the Virgin Birth, if we fail to appropriately “fact-check” the statements made by our fellow believers in Christ? Shooting first, and asking questions later, is rarely a good strategy. This entry was posted on Friday, December 30th, 2016 at 9:12 am	and tagged with al mohler, Andy Stanley, Christmas, virgin birth and posted in Apologetics. You can follow any responses to this entry through the RSS 2.0 feed. A disturbing and important exhortation. I have reaffirmed my commitment to truth after your words. In 1957 E. J. Young of Westminster Theological Seminary published his book, Thy Word Is Truth,” that was widely read within the Evangelical community as a staple of orthodoxy and commitment to biblical inspiration and authority. Jesus said, “I am … the truth …”. Truth is crucial, absolutely crucial, to an historic, orthodox, biblical Christian. The forwarding of misleading and false narrative via email, Facebook, Tweet, etc. without fact-checking is a serious issue. Forwarding misleading and false narrative is to participate in a lie—Revelation 21:8 may eventually come into play here. This is a great post, Clarke. I had not heard of this issue at all before reading your account. To your excellent list of “do’s and don’ts” at its end, I might add another simple admonition: before publishing highly judgmental criticism, one should first attempt to express concern privately to the person potentially being judged — kind of a generalized Matthew 18.15-17 principle. This might clarify misunderstandings privately.